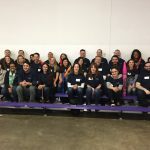 Team members from the Northland corporate office spent a morning volunteering at the Cradles to Crayons Giving Factory. 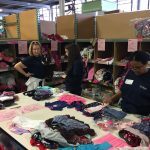 Cradles to Crayons provides children up to age 12 who are living in low-income and homeless situations with the essential items they need. 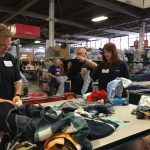 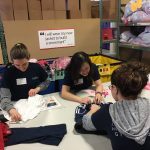 Northland employees worked in the Cradles to Crayons Boston area warehouse to sort clothing donations, put together packages for children, and write encouraging notes.